It should be stated that Migos are probably better than the Beatles in a zillion other, hard-to-define ways. How do you begin to explain the cultural phenomenon that was “Bad and Boujee,” not to mention the ridiculously fun, borderline absurdist nature of early hits “Versace” and “Hannah Montana”? How do you even begin to talk about “Freak No Mo’”, a song that has haunted me for years with its indelible lines, “Please do not try and run game on me / I’m not a Playstation / Please do not try and run game on me / I’m not a 360...”? The answer is: You can’t. 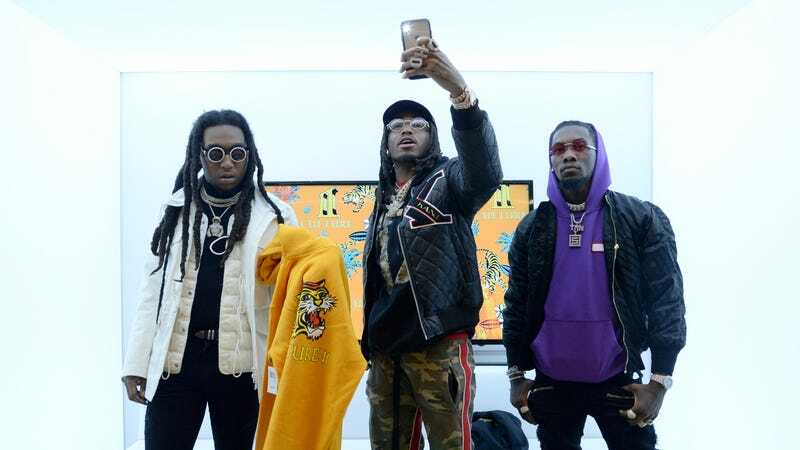 The charts are dumb, anyway, but I guess tying the Beatles on the Hot 100 will help some old school music fans get behind the idea that the future is now, the future is Migos, and they’re full of bops.